ERIN IVEY WILL BE APPEARING WITH TOSCA STRING QUARTET at her official SXSW 2013 showcase Tuesday, March 12, 9pm at The Parish Underground. 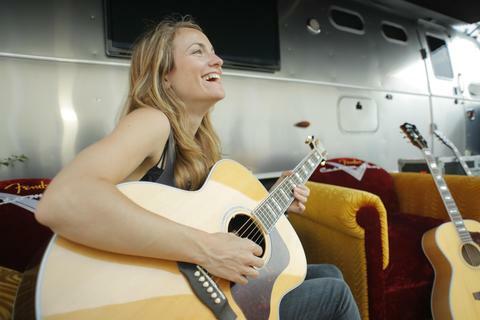 Erin Ivey is Austin's Urban Folk darling, known for musical adventurousness that “stands out in a town saturated with singer-songwriters” (Austin Chronicle). Her latest album, Broken Gold, was named on Top 10 lists from The Austin Chronicle and Texas Music Magazine, called Album of the Year by KUT's Kevin Connor, and received 5 stars in Austin Monthly. Since escaping the cubicle life in 2007, Erin has played more than 500 live shows nationwide, supported the likes of Ralph Stanley, Shawn Colvin, and Loudon Wainwright, been named one of Austin's top indie artists, and has “quietly become one of our city’s biggest critical successes” (KUT 90.5 NPR). Erin sizzles with a band, often backed by Tosca String Quartet or R&B/Dub trio The Finest Kind, and she sparkles solo with her electric guitar.